Looking for something to beat the summer heat? How about my Easy No-Cook Meyer Lemon Ice Cream! This homemade silky smooth and lemony ice cream is just the thing to help you cool off on a hot summer day! It’s the middle of June and hot, hot, hot, here! It rained all last week, and I wished for some sunshine, but now that the sun is out and it’s hot and humid, I wish for a cloudy, rainy cooler day! 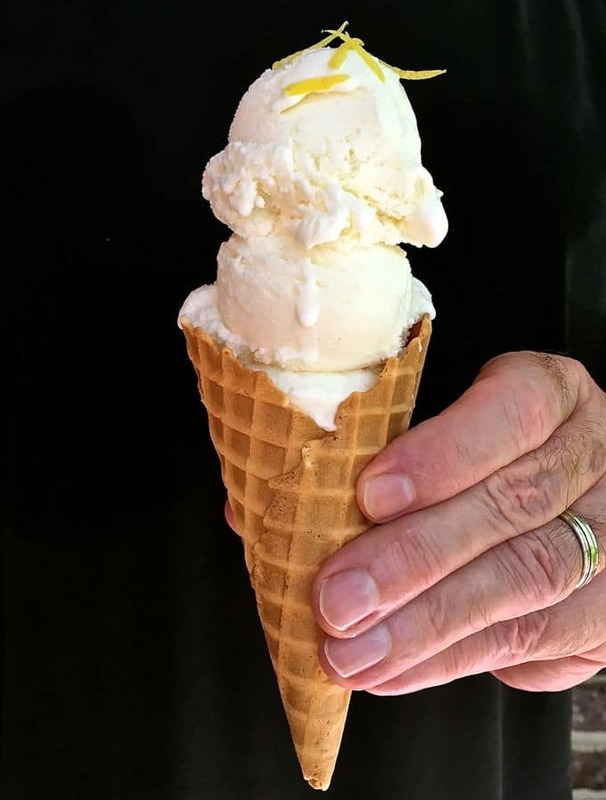 Just thinking about this light and delicious ice cream makes me feel cooler and once I pile a few scoops into a tall ice cream cone, I’m in lemon heaven. Sweet and tart, Easy No-Cook Meyer Lemon Ice Cream is delightfully refreshing and decidedly satisfying and the perfect cool, creamy dessert or sweet treat. And, the best part, it’s really easy to make. 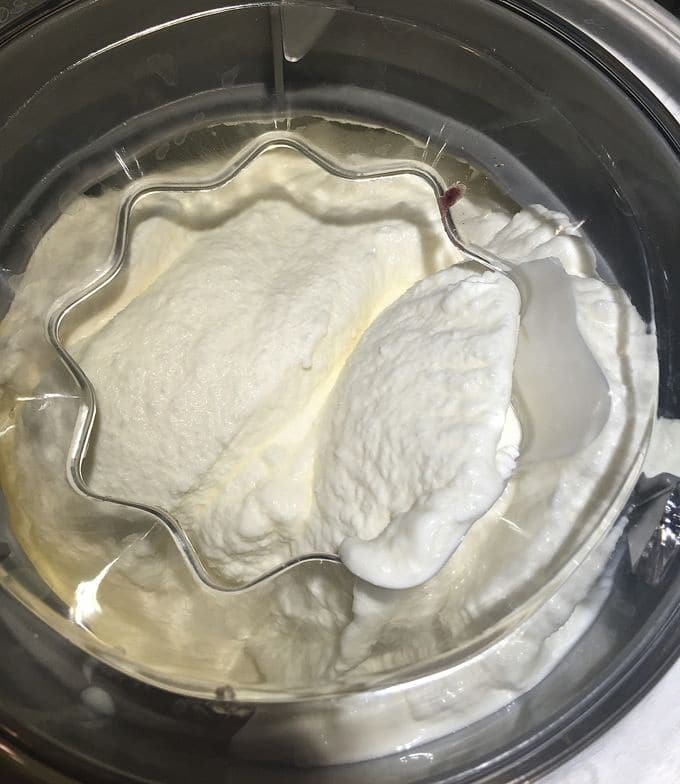 All you have to do is add the ingredients to your ice cream maker and let it do all of the heavy lifting. It is also the perfect consistency for scooping, no more ice cream that freezes so hard you have to leave it out to even scoop out a spoonful. It comes out smooth as silk every time. Thanks to Mary and Rick, friends of ours who shared a bounty of fresh Meyer lemons this past winter, I am lucky to have several quarts of frozen Meyer Lemon juice just waiting to be used in recipes like this one. If you don’t have access to Meyer Lemons or can’t find them, regular lemon juice works just as well, although you may need to add just a touch more of sugar. Meyer Lemons are actually a cross between a regular lemon and a Mandarin orange, and they are not quite as acidic and slightly sweeter. 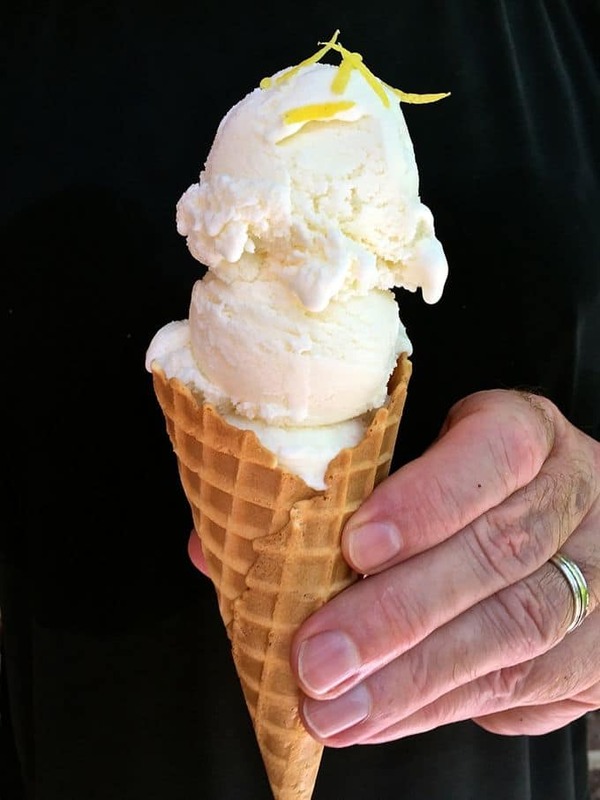 The other thing that contributes such a great lemon flavor to this Meyer Lemon Ice Cream is the use of preserved lemon peel. Again, because I had so many lemons courtesy of our friends, I made several jars of preserved lemon, which will keep up to a year in the fridge. Preserved lemons are actually lemons which have been preserved in salt and their own juice and add a wonderful lemony flavor to any dish where you would normally add lemon zest. If you would like more information on how to preserve lemons, check out my post How to Make Preserved Lemons. You won’t believe how easy preserved lemons are to make and they also make great hostess gifts. Don’t have preserved lemons? Just substitute lemon zest. If you enjoy homemade ice cream and sherbet, you might also like these easy recipes: Cherry Pomegranate Sherbet and Easy Mixed Berry Sherbet. Both are super simple to make, and both make a light cool dessert. 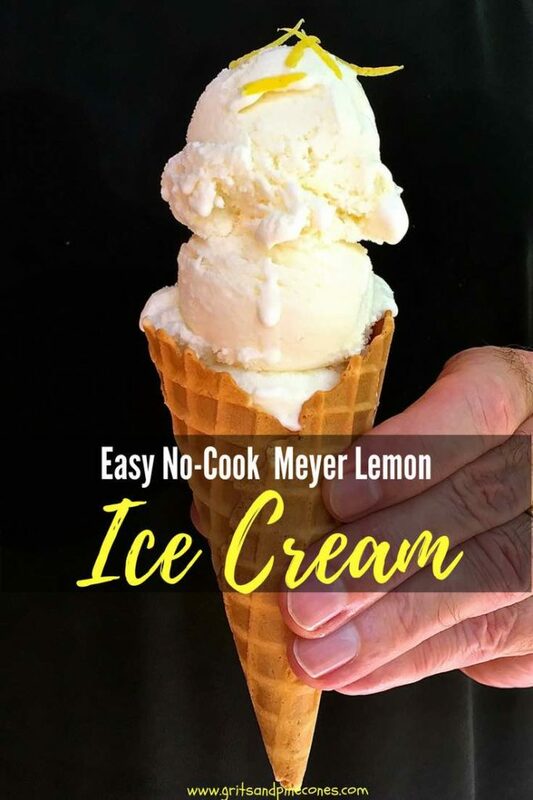 To Make Easy No-Cook Meyer Lemon Ice Cream gather your ingredients which include Meyer lemon juice or regular lemon juice, granulated sugar, preserved lemon peel or lemon zest, heavy cream, half and half, and kosher salt. To make this yummy ice-cream, gather your ingredients and make sure lemon juice, heavy cream, and half and half are thoroughly chilled. Combine all ingredients in a medium-size bowl. 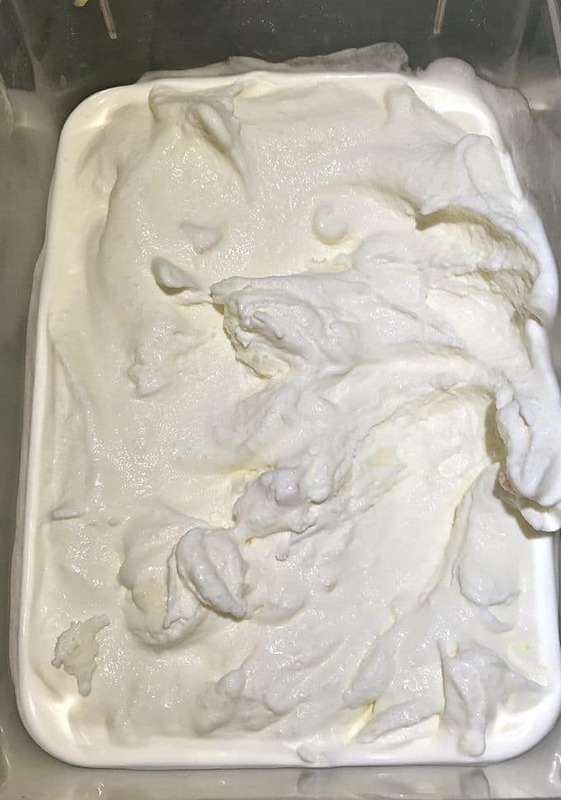 Pour chilled ice cream mix into an ice cream maker, turn on the machine, and churn according to the manufacturer’s directions. This should take approximately 25 minutes. Remove the ice cream from the ice cream maker and place in an air-tight container. At this point, you can serve it, but the flavor will develop if you place the ice cream in the freezer for 2-3 hours. Store any left-over ice cream in the freezer. 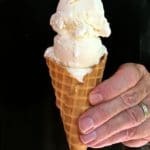 Sweet, tart and silky smooth, Easy No-Cook Meyer Lemon Ice Cream is delightfully refreshing and decidedly satisfying and, the perfect cold, creamy dessert. 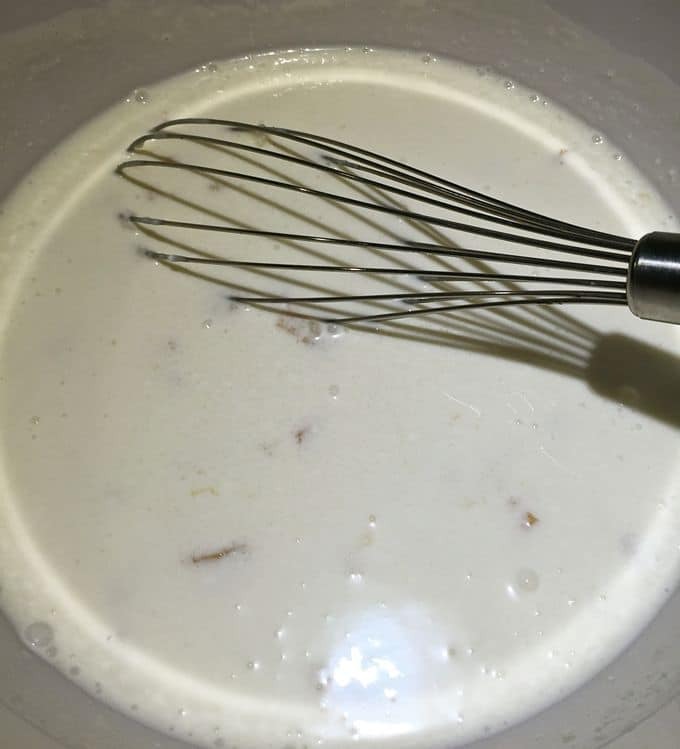 Make sure lemon juice, heavy cream, and half and half are thoroughly chilled. Combine everything together in a medium size bowl. Pour chilled ice cream mix into an ice cream maker, turn on the machine, and churn according to the manufacturer's directions. This should take approximately 25 minutes. Remove the ice cream from the ice cream maker and place in an air-tight container. At this point, you can serve it, but the flavor will develop even further if you leave the ice cream the freezer for 2-3 hours. Does this ice cream have a heavy lemon taste? I was thinking of adding about 1/2 teaspoon of lemon oil? I have a really good one but won’t use it unless the lemon taste is very subtle. Can’t wait to make this. If you use the preserved lemons it is very lemony! If you only have lemon zest I think it would be fine to add the lemon oil. The other thing to keep in mind is regular lemons are a little more tart than Meyer lemons so that may affect the taste too! You know I am crazy about Meyer lemons! This has my name all over it. You and me too! Plus, a bonus, it’s super easy!